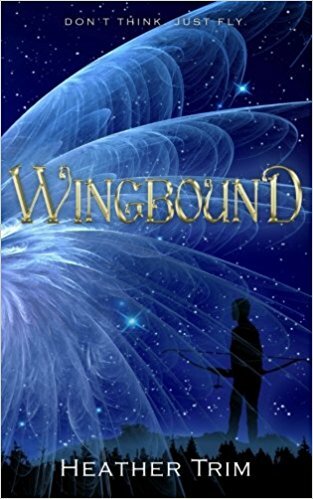 Wingbound by Heather Trim is a fantastic adventure tale for all readers with their heads in the clouds. Meet Ledger, a boy hungry for manhood and the chance to prove his worth in battle, and watch him have his whole world turned upside down when he meets one of the winged enemy – and finds nothing to hate. On the contrary, Alouette opens up new horizons for him and stirs his creativity into top gear. Wingbound kept me turning the pages – despite the fact that it is written in first person present POV, which I’m not particularly fond of. The story was strong enough to carry me through, though, with its vivid imagery, painting the sights and sounds into my mind. Unfortunately, the ending left a lot of strings untied, probably opting for a sequel, which left me a bit wanting after the high tension and tumultuous confusion that wrapped the story up. Not exactly a cliffhanger, but there is a bit of journey left open with a lot of adventures in store – especially when you have a dragon on board.